November is National Alzheimer’s Month, and with it comes a ton of important information about how Alzheimer’s disease affects individual people, families, and the communities they are enmeshed with. At Coweta Hearing Clinic, we are committed to hearing health – which plays a big part in your cognitive abilities, according to a series of important studies. Alzheimer’s is the most common type of dementia, an umbrella term that is used to describe a wide range of cognitive impairments. Alzheimer affects many parts of people’s abilities, but it especially impacts people’s memories—it is difficult for people suffering from Alzheimer’s to retain new information and to form new memories. One of the earliest signs of Alzheimer’s is a sense of general disorientation, such that people become suddenly lost in familiar spaces, may not know where they just recently came from, or can simply misplace objects they just put down. Another sign of Alzheimer’s is confusion while completing otherwise familiar tasks, such as handling money or driving a car down a familiar street. As the disease progresses, people may get up in the middle of the night and leave the home, becoming quickly lost. The signs and effects of Alzheimer’s do not only affect the person with the disease, but can be devastating for friends and loved ones. This is in part because, as Alzheimer’s progresses, those suffering from the disease can experience sudden mood swings and extreme changes in their personality. People with Alzheimer’s can appear indifferent to people they long held dear to them, or become suspicious of loved ones and paranoid that people are attempting to harm them. People with advanced Alzheimer’s can display even more disturbing behavior, such as becoming uninhibited in public or making inappropriate remarks and advances. There is no cure for Alzheimer’s and there is no way to repair the brain’s functioning after the disease has set in. It is a progressive, degenerative disease. Researchers have been exploring ways to slow down the progression of Alzheimer’s, though—and treating hearing loss may be an important step. The Lancet International Commission on Dementia Prevention, Intervention and Care found that more than one third of dementia cases worldwide might be prevented if lifestyle factors including treating hearing loss were to be addressed. Treating hearing loss is not a remedy for Alzheimer’s, as it will not fix or cure the disease. Establishing healthy hearing can still be an important step in ensuring a longer, healthier life. There are some things you can do to address hearing loss and set yourself on the path of the best cognitive health you can have. Of course, the first thing to do is to visit a trained hearing health professional at Coweta Hearing Clinic. Our team can provide you a safe and non-invasive hearing test. With that information they will help you to understand the extent of any hearing damage and encourage you as you embark on the next steps of better hearing health. Treating hearing loss is an important part in maintaining healthy cognitive abilities. Modern day technologies have resulted in high-tech, high-quality, and low-cost hearing aids that are sure to suit your individual hearing needs. Using hearing aids is not only important for catching those sounds you may have lost, but takes pressure off of your brain to redirect resources away from other senses in order to compensate for hearing loss. With hearing assistance, in other words, your brain may be more available to do things such as create and retain new memories. If you are not experiencing a hearing loss, it is equally as important to protect your hearing. Whether or not you need hearing aids, it is a good idea to invest in earplugs. Every day we are exposed to loud noises in our own homes, at work, and out in the world. Having earplugs handy when you know you will be in loud spaces such as a live concert venue or even at work around heavy machinery will help protect your ears. Sudden loud noises can also be a problem, however. You can simply plug your ears when loud sounds occur, such as passing sirens or if you are around explosions. 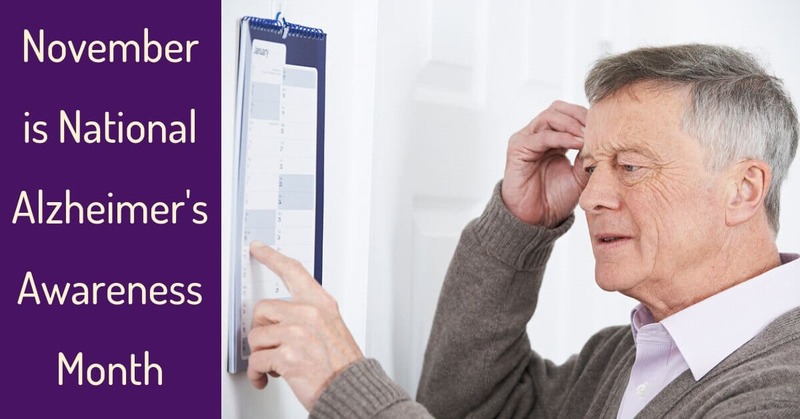 While Alzheimer’s typically affects older adults, there is a significant number of people under the age of 65 who are experiencing early onset Alzheimer’s—that is, people who are of an age where hearing loss as well as cognitive decline can be at play. Beginning the work of addressing the risks of hearing loss is important at any age, but might be especially useful for people reaching middle age who also have a family history of dementia or other cognitive issues. To schedule an appointment for a hearing consultation, contact us at Coweta Hearing Clinic today.